Just after MD 704, we’ll approach the I-95/495 beltway around DC. 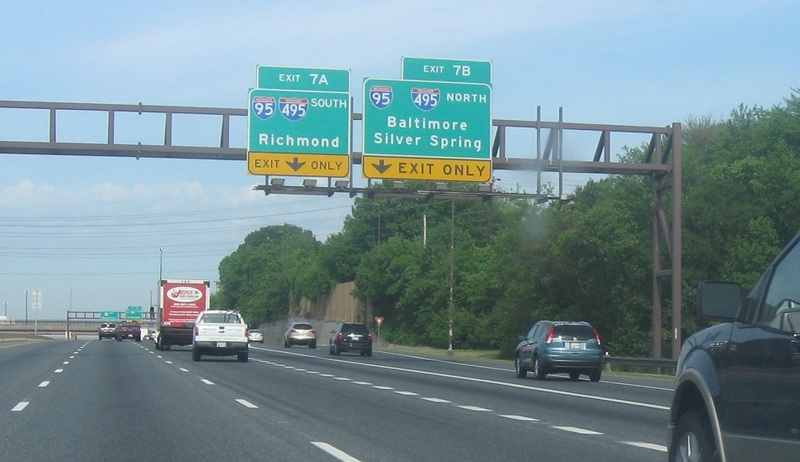 Exit ahead for I-95/495 north and south. 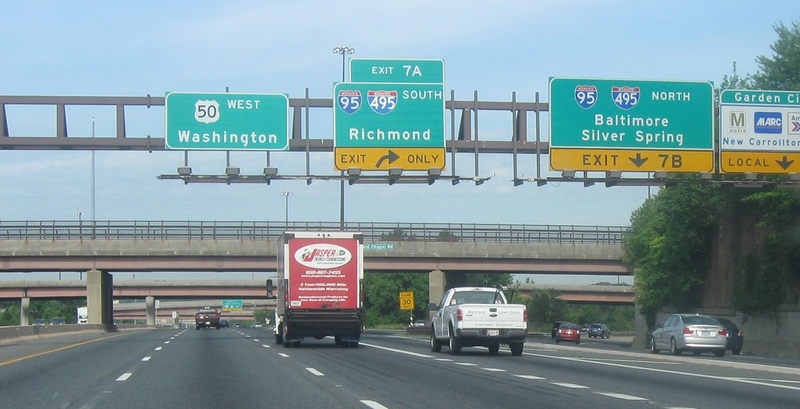 Follow 95/495 north to Baltimore and 95/495 south to Richmond, Va. I-595 will end at this interchange and US 50 continues on its own to DC. 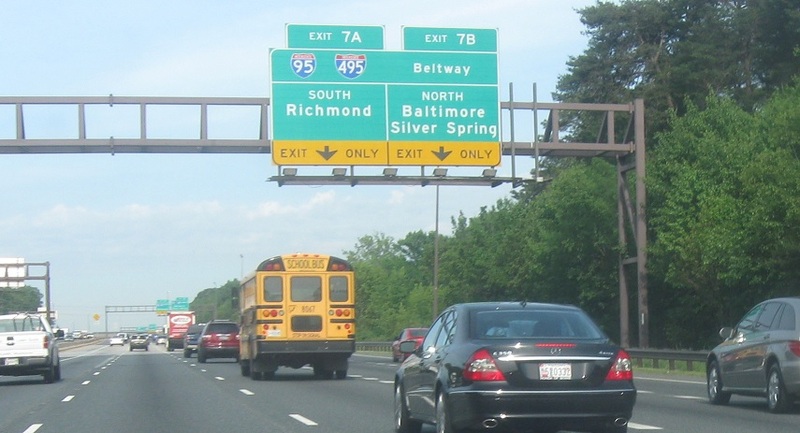 Exit for I-95 and 495 south.